May 4, 2018, 3:47 p.m.
(Brussels, May 4 2018) - The CargoX Smart B/L solution was presented exclusively on May 3rd in the office of the European Commission’s (EC) Mobility and Transport department, headed by Mrs. Violeta Bulc. Mrs. Bulc is part of project teams working on Jobs, Growth, Investment and Competitiveness, the Digital Single Market, Better Regulation, and others. Igor Jakomin, Ph. 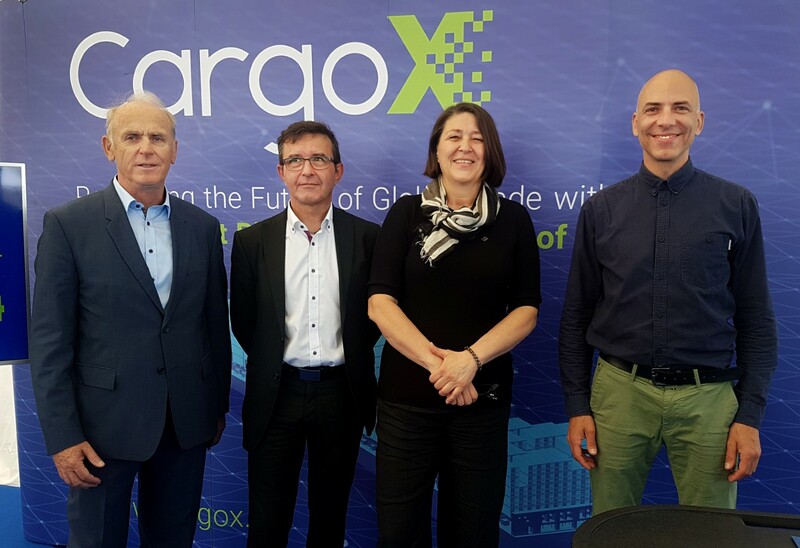 D., CargoX Chief Business Developer Officer, met with representatives from the department and presented CargoX’s work and views on future developments in the field of blockchain technology. “It is of great importance for the regulators to see the need to implement blockchain technology into every walk of supply chain industry. 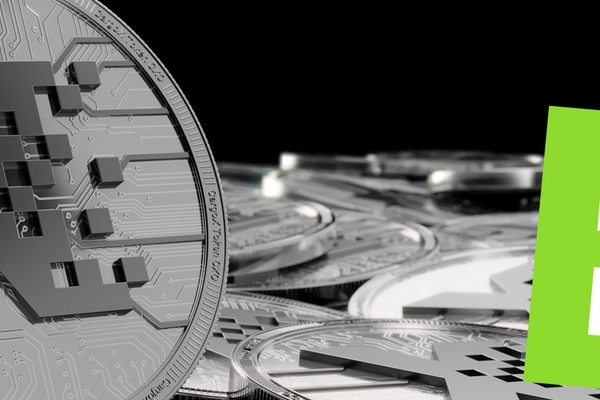 Cryptocurrency and its alleged controversy is not to be mixed with the blockchain technology as a whole since benefits of it are already recognized in numerous fields of industries,” emphasized Igor Jakomin. This presentation took place just a few days after Violeta Bulc, European Commissioner for Transport, visited our booth at the recent Future Day event at BTC City in Ljubljana, Slovenia (pictured in the headline photo), together with Boris Koprivnikar, Minister of Public administration of Republic of Slovenia, and Jože Mermal, chairman of the management board of BTC Company, who operates one of the largest shopping, business, leisure, and innovation centres in Europe. As we are aware of numerous efforts of the EC to regulate the blockchain-based technologies in our quest to help in mass adoption of this game changing technology, we have extended our offer to collaborate as specialists in this field at the EC events held about transportation and legislation, and we are looking forward to act as facilitators of knowledge when the EC prepares the new legislation. 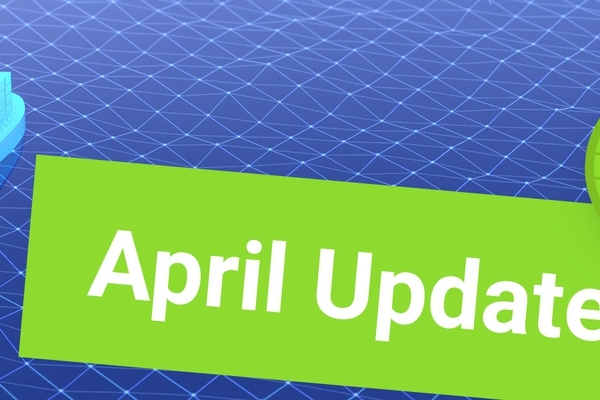 Updates: Article updated 5th May at 20:30 CET with information about the BTC City event. 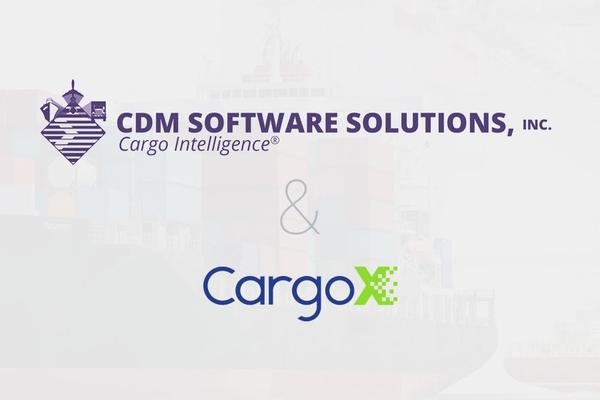 The CDM Web Freight®, a global, multiple language, web-based solution for freight forwarding and NVOCC operations, developed by CDM Software Solutions, a certified U.S. Customs application vendor, will include CargoX’s Smart Bill of Lading™ as an integrated, secured mechanism for sending and processing bills of lading generated using the blockchain technology. March was a busy month for us! 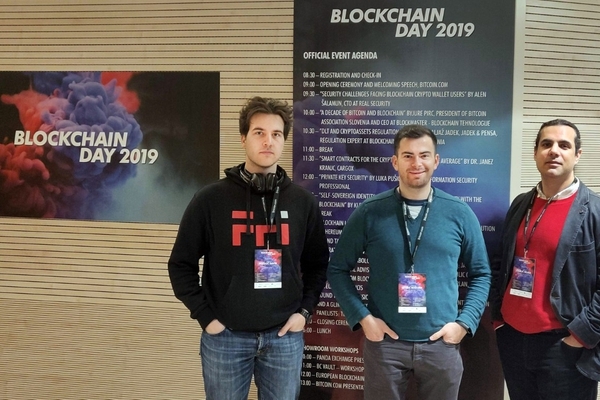 We were finalists at the 11th SXSW Pitch in Austin, Texas, we presented at the #DataccioConnect in Colombo, Sri Lanka, at a specialized energetics conference and a security conference. 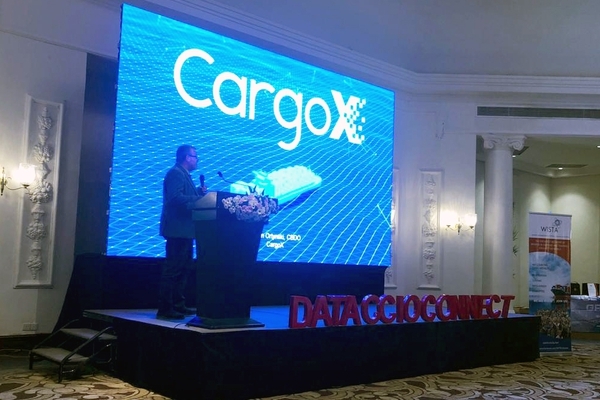 CargoX Smart B/L™ presented at the #DataccioConnect conference in Colombo. 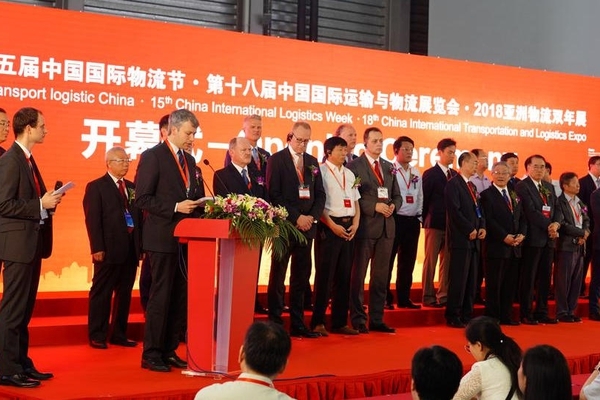 Hundreds of decision makers attended from maritime shipping, logistics, and supply chain industries. 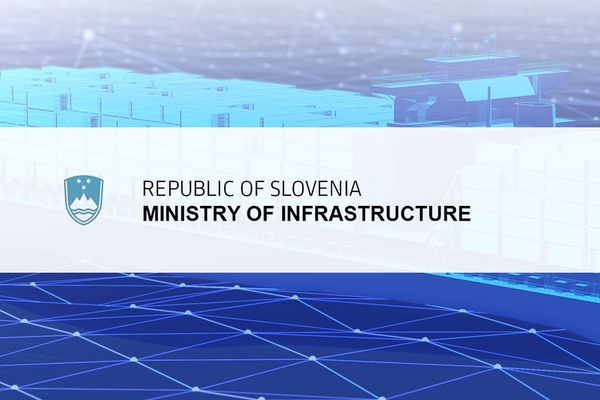 Janez Kranjc, Ph.D., CTO of CargoX, has been invited to talk about smart contracts at the premium new technology conference in the Adriatic region, organized by the REAL Security firm and Bitcoin association Slovenia. 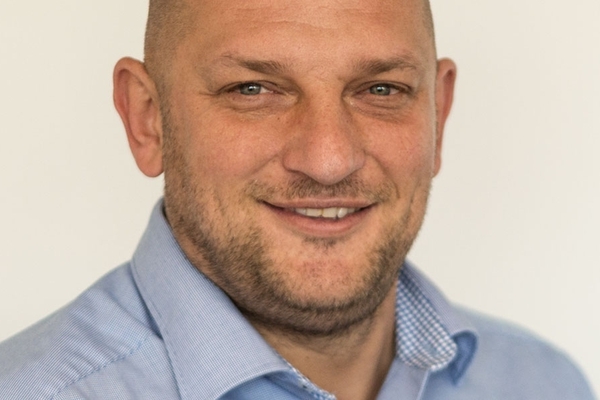 Igor Jakomin, Ph.D., is departing CargoX after a successful year of setting-up internal processes and business development in the roles of Chief Business Development Officer and later Chief Operating Officer. 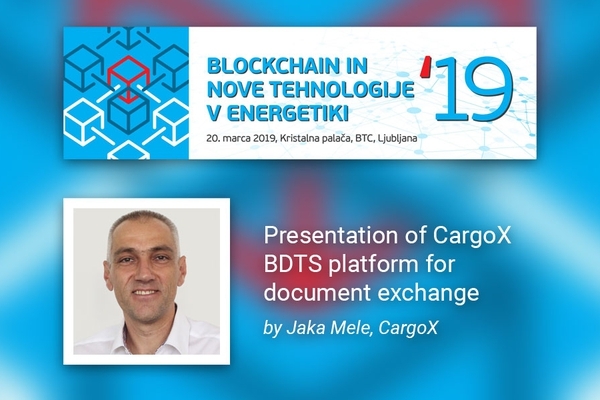 The CargoX Blockchain Document Transaction System (BDTS) was presented at the Blockchain and New Technologies in Energetics conference. CargoX was one of the five finalists in the Transportation & Delivery category, and 50 finalists altogether, at the 11th SXSW Pitch in Austin, Texas, chosen from over 800 startups. DexFreight is a decentralized, blockchain-based logistics platform that allows shippers, carriers, and other supply chain stakeholders to transact and collaborate more efficiently, transparently, and securely. 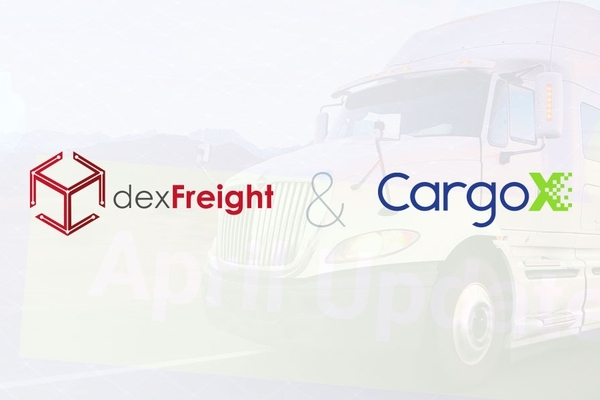 CargoX just turned a year old, huzzah! That might be a blink of an eye in human terms, but as a company, we are wise beyond our years. Let’s take a moment to reflect upon our major accomplishments in this short year, and see how we shook the scene from the bottom up. 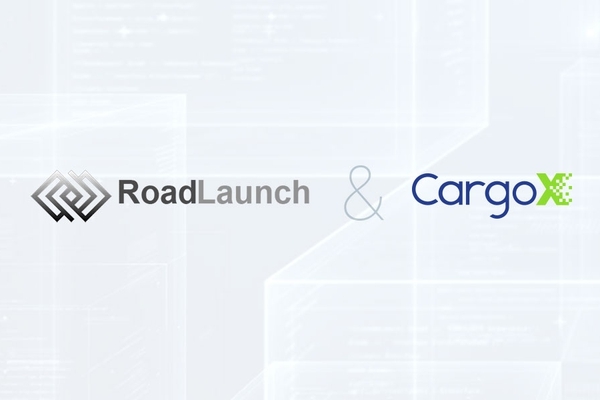 CargoX has partnered with RoadLaunch, an IoT and blockchain-based digital freight management platform with thousands of users. 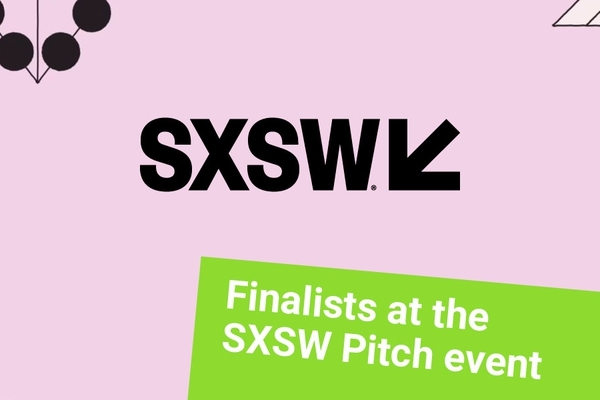 CargoX is one of five finalists in the Transportation & Delivery category at the 11th SXSW Pitch in Austin, Texas, chosen from over 800 startups. SXSW is the top-tier event where startups such as Twitter, Foursquare, and Gowalla made their big-bang appearances. 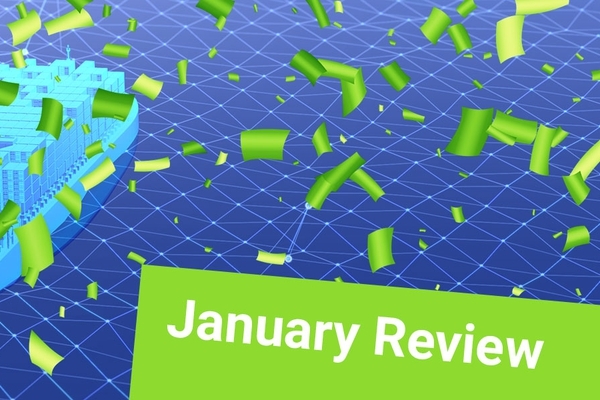 At the start of the 2019, we wanted to take a quick look at what we achieved in December of 2018. 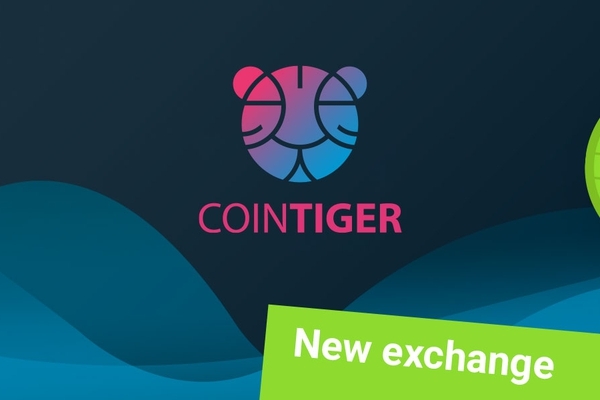 The CXO/ETH and CXO/USDT token exchange pairs will be available on the CoinTiger exchange as of Thursday, 13 December 2018, 16:00 UTC+8. 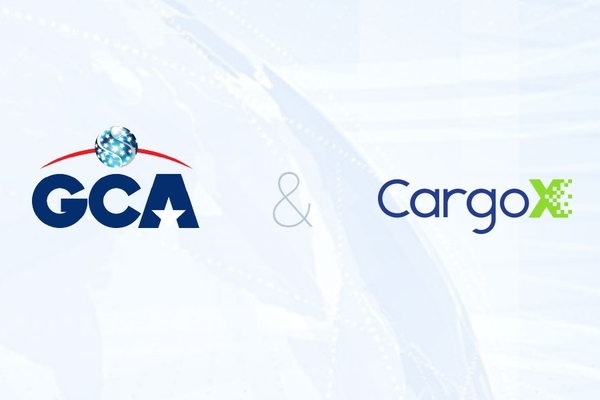 CargoX has partnered with the Global Cargo Alliance, a secure business platform, where trusted and qualified independent freight forwarders can work to create mutually beneficial business relationships. 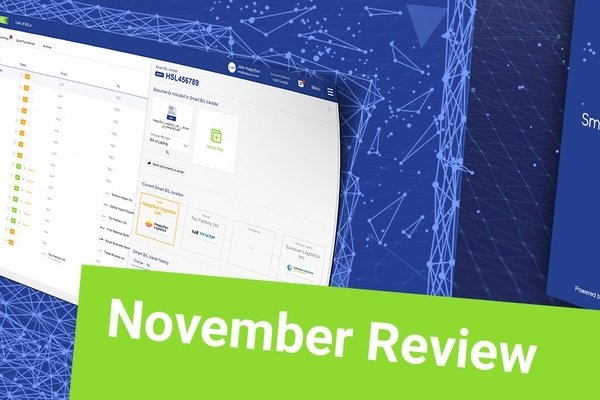 November was a breakthrough month for the CargoX platform - it was deployed to the Ethereum Network and the internet in its final form, and it is now live! We were awarded for our work, and we received a lot of attention. 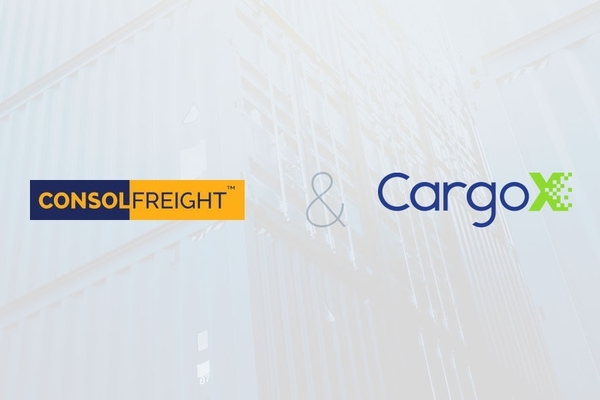 CargoX partners with ConsolFreight, a platform for cargo consolidators and co-loaders that interconnects them to slash costs and transit times, as the combined traffic of all members together contributes to the collective savings. 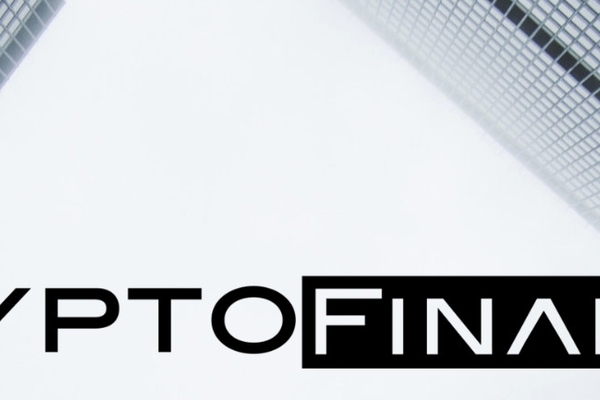 CargoX visited CryptoFinance, Norway’s largest blockchain event, organized by Bitspace, a technology company that specializes in blockchain and exponential technology. 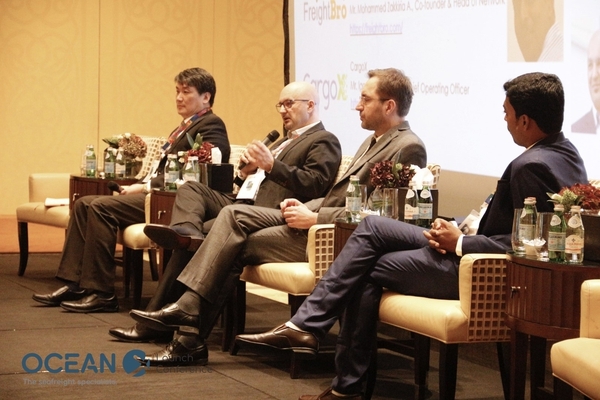 The OceanX Network was officially launched at the Ritz-Carlton hotel in Dubai, UAE, accompanied by the CargoX platform. 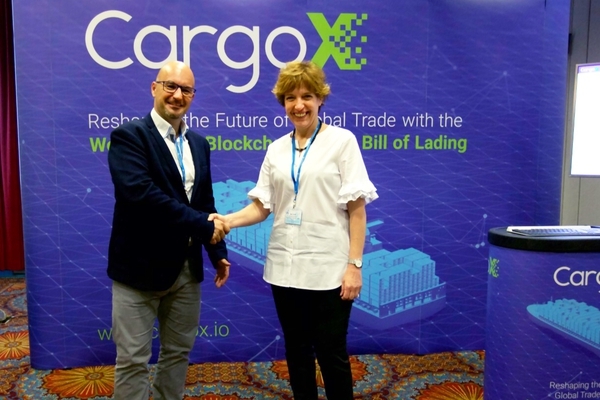 CargoX and OceanX Network partnered in July 2018 to set new standards of excellence in the shipping trade. 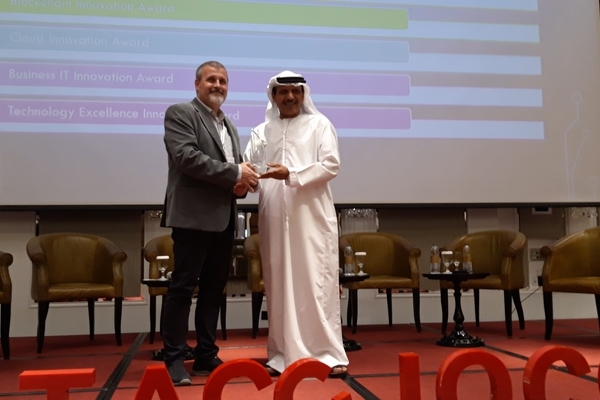 (Dubai - 21 November 2018) - CargoX wins the #DataccioConnect Blockchain Innovation Award at the Dataccio Connect congress in Dubai, where maritime business traditionalists and enthusiasts discuss the latest trends in technology. 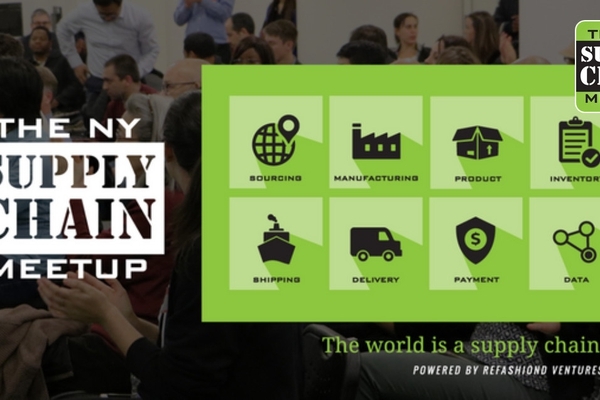 The CargoX platform was presented at the New York Supply Chain Meetup, a public group consisting of nearly 1,500 members who make up a part of The Worldwide Supply Chain Federation. 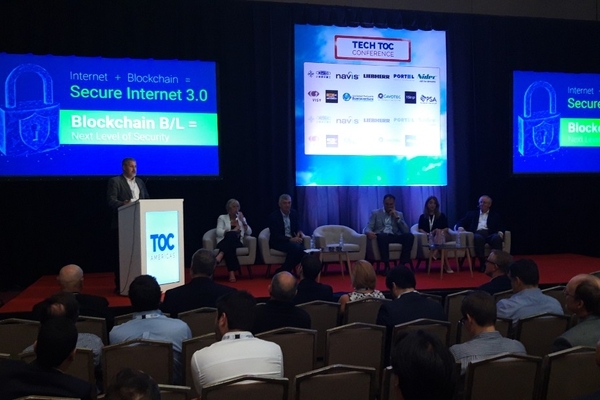 The CargoX platform was presented to hundreds of attendants at the prestigious TOC Americas conference in Panama, where the conversation focused on the challenges and realities of the transforming the shipping landscape. 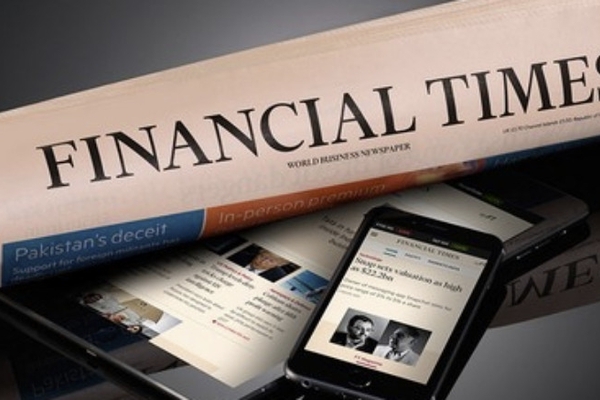 CargoX was shortlisted at the Financial Times/RSG 2018 Intelligent Business Awards. The awards ceremony was held at the 2018 Intelligent Business Forum in San Francisco on November 14th. 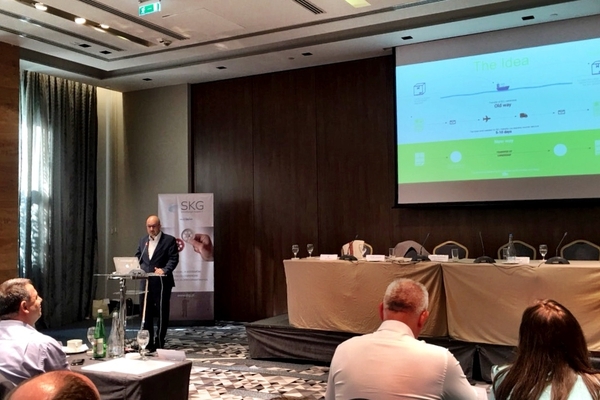 (Ljubljana, Hong Kong - 14 November 2018) - CargoX is launching the CargoX platform today to become the first open, neutral, and accessible blockchain platform in the shipping industry. 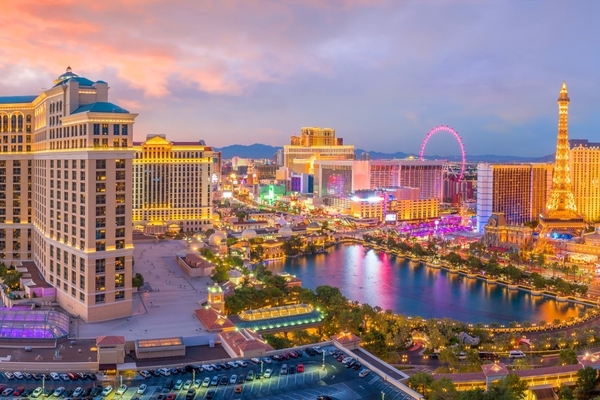 The platform can be used by businesses of any size, and it was recently selected as the winning innovation at the IRU World Congress among 77 startups after a presentation in front of over 1000 attendees from more than 60 countries. CargoX was also shortlisted at the Financial Times 2018 Intelligent Business Awards. CargoX is shortlisted at the Financial Times/RSG 2018 Intelligent Business Awards. The awards ceremony will be held at the 2018 Intelligent Business Forum in San Francisco on November 14th. 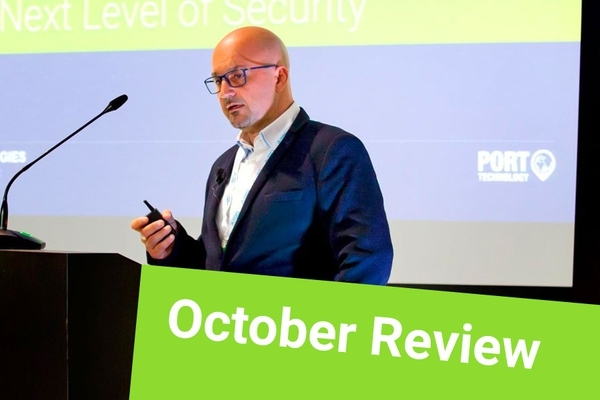 October was so intense, with all the preparations for the go-live of the CargoX platform, that we almost forgot to send this monthly review! So, here is November … we are in the middle of it, but we feel that the big bang is coming! CargoX wins the IRU World Congress Startup competition among 77 competitors, 1000+ attendees from 60+ countries in Muscat, Oman. 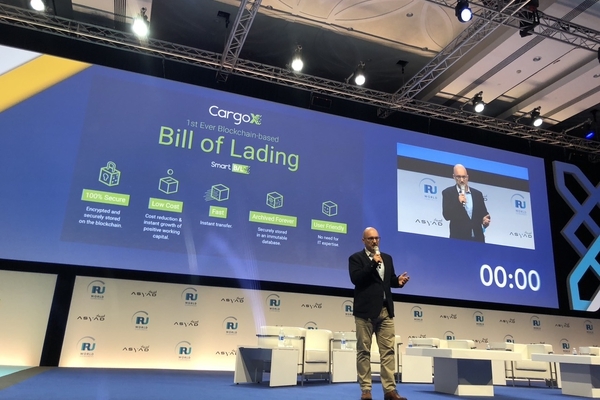 The CargoX platform was presented at the JOC Logistics Technology conference in Las Vegas by Patrick Vlačič, CargoX’s maritime legal expert, on stage with Andrew McLoone, director of operations at BDP International. 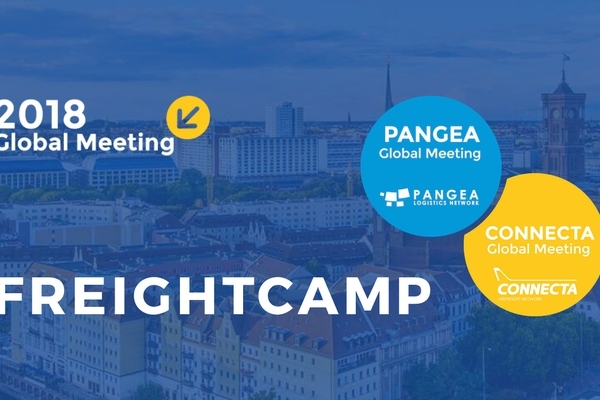 The CargoX Smart B/L™ solution was showcased at Freightcamp, a Pangea and Connecta global networks meeting, to more than 400 members of both networks. 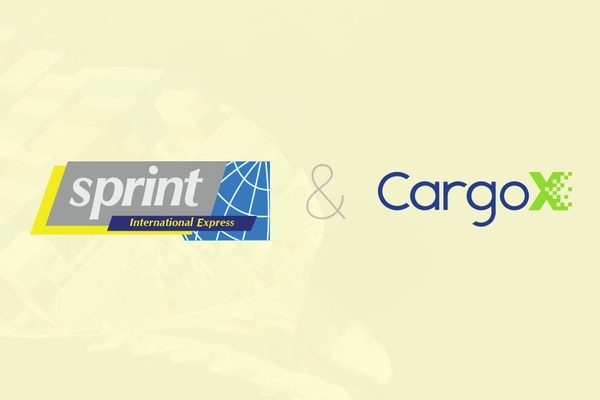 CargoX, the provider of the Smart B/L™ based on the CargoX blockchain document transaction system (BDTS), partnered with Sprint international Express, a comprehensive cargo and logistics provider, to provide Smart B/L™ services to their customers. 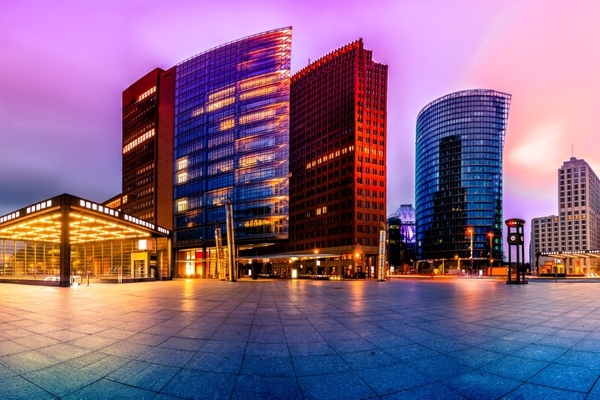 We are opening a representative office in Berlin, the economic heart of Germany. Implementation projects for that region will be managed from this office. 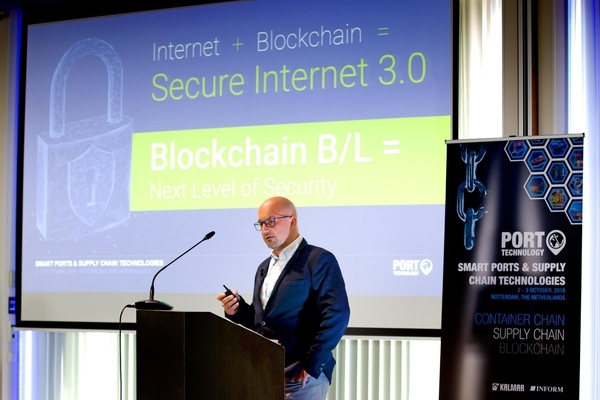 Igor Jakomin, COO of CargoX, presented the CargoX Smart B/L™ at the Smart Ports & Supply Chain Technologies conference, held by the cargo industry’s leading journal, Port Technology, in Europe’s premier port city of Rotterdam on October 2-3. 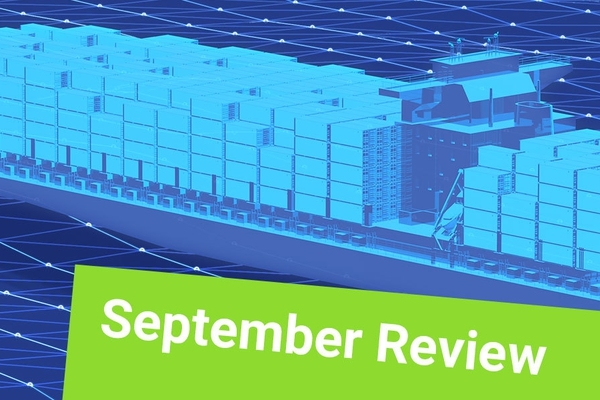 September was the month CargoX was waiting for. 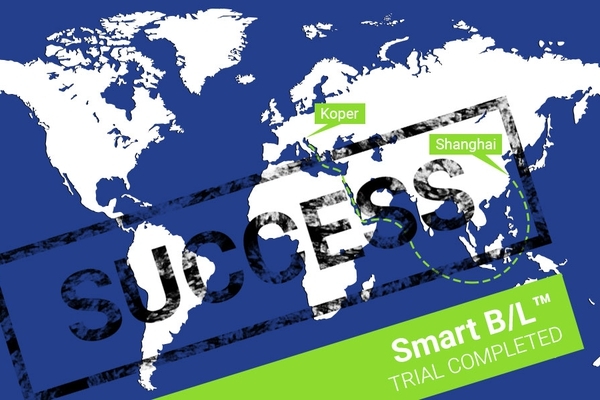 After working tirelessly it’s all systems go for launch - the Smart B/L™ solution is almost ready for any company that wants to start using it. Our engineers have fixed bugs and reviewed the software code, and our numerous partners have been testing the solution and providing feedback. 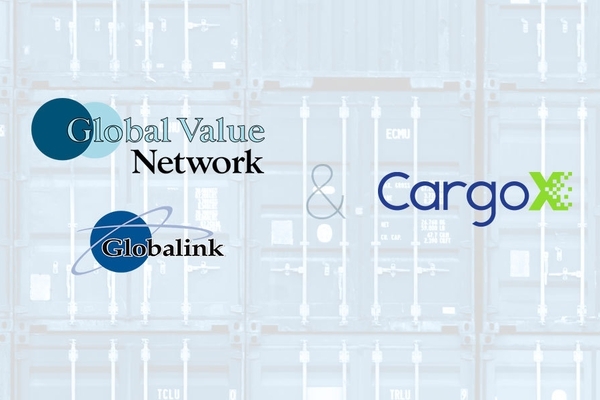 CargoX partners with Globalink and Global Value Networks, independent freight forwarding networks of over 200 freight forwarders, to employ the CargoX Smart B/L™ solution in their networks. 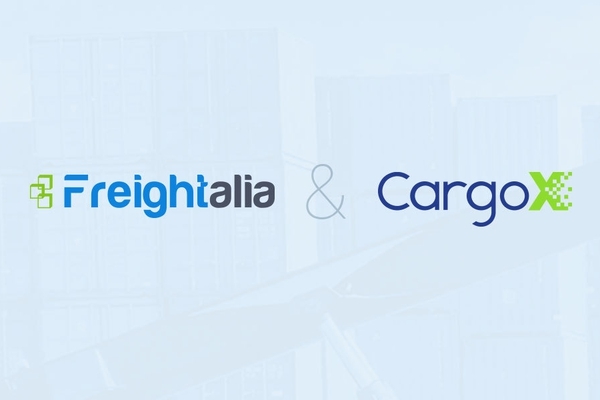 CargoX partners with Freightalia, the number one automatic quoting system created for freight forwarders, to give more than 300 customers access to CargoX Smart B/L™ solution. August was hot and so was the news! 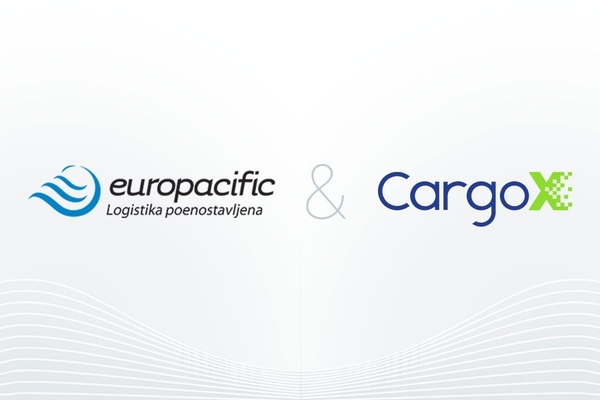 We have signed a partnership agreement with Europacific, a regional logistics company embracing technology to optimize logistics processes. 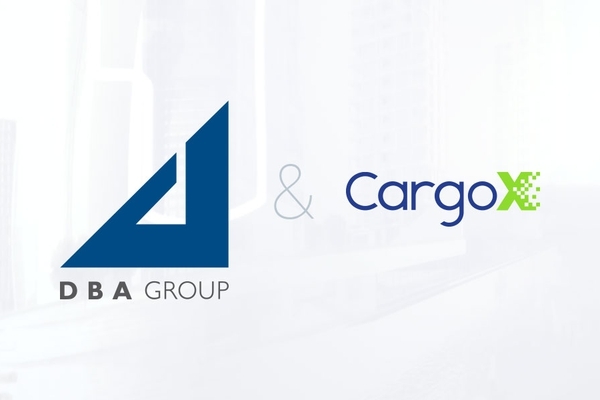 CargoX, the producer of the electronic blockchain-based Smart Bill of Lading™ solution, has signed an exciting partnership with DBA Group, an Italian technology consulting giant listed on the Italian stock exchange. We have signed a partnership agreement with Actual Group, member of DBA Group, the provider of advanced and comprehensive IT solutions for supporting port logistics operations and for monitoring and controlling retail business systems in the oil industry. 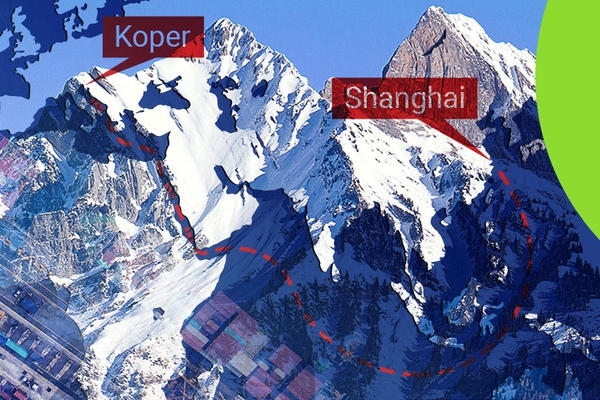 The container, processed with the revolutionary new blockchain-based CargoX Smart Bill of Lading™, has been released successfully in the Port of Koper, Slovenia (EU), where it arrived on Sunday, 19 August 2018, completing its journey from Shanghai (China) aboard the cargo ship Ever Safety, and was shipped by one of the world’s largest freight forwarders. July was a month that brought about some dramatic events at CargoX! 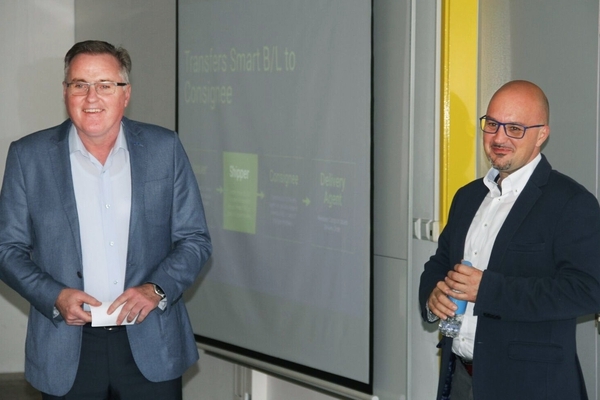 We joined BiTA, signed partnerships with Fracht AG and OceanX, and sent the first ever official Smart Bill of Lading for an official shipment! This is the moment we have all been waiting for! 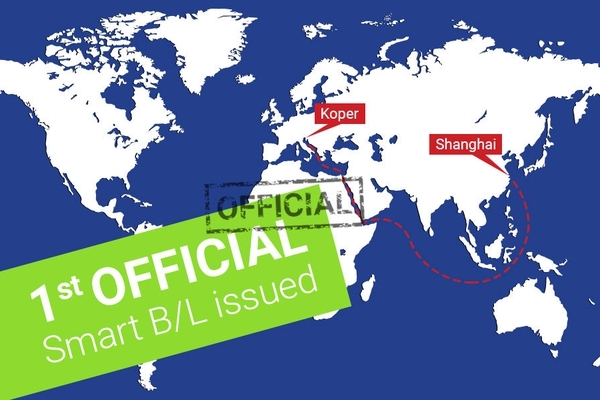 The first ever official Smart Bill of Lading for an official shipment was issued on Friday, 27 July 2018, and the shipment is currently travelling from China to Europe, where it will arrive in the middle of August. 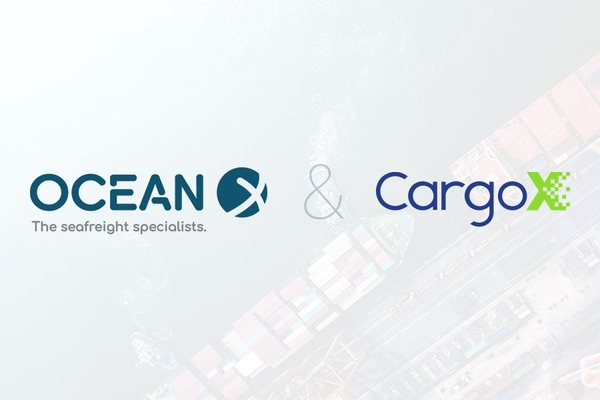 CargoX and OceanX, the leading sea freight specialist network, have agreed on a strategic partnership, bringing the blockchain enabled Smart B/L to OceanX NVOCC members. We have signed a partnership agreement with Fracht AG, the independent Swiss family-owned company with over 100 offices and more than 1200 employees. 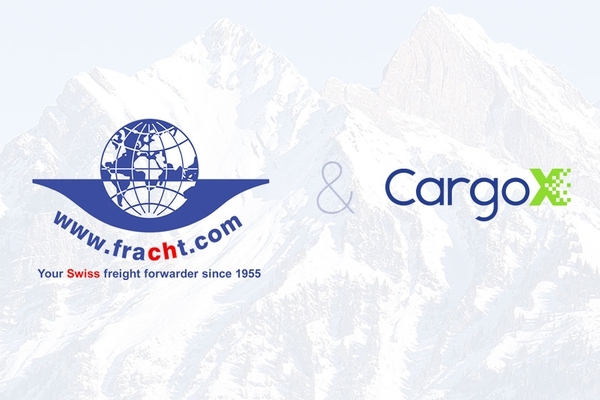 This move gives Fracht AG the means to use the CargoX Smart B/L with its business customers. 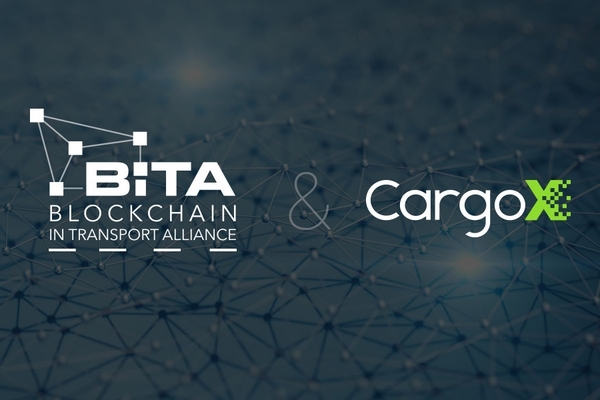 CargoX, an independent supplier of blockchain-based solutions for logistics, has become the latest member to join the Blockchain in Transport Alliance (BiTA). June was a busy month, as always! Everybody is rushing towards the summer holiday season. But not CargoX - we are rushing towards the market’s adoption of our CargoX Smart B/L solution! 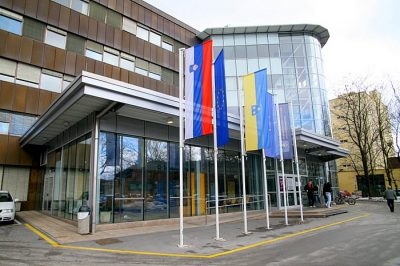 CargoX is proud to collaborate with the Faculty of Maritime Studies and Transport of the University of Ljubljana. Announcing a scholarship fund at the International Conference of Transport Science, where we also presented our blockchain-based Smart B/L solution. CargoX, the provider of smart public blockchain-based solutions for the logistics and supply chain industries, is proud to announce the establishment of a scholarship fund intended for students at colleges around the world. Among the first of these is the Faculty of Logistics at the University of Maribor, which will receive funding for a student of logistics. May was just another one in the line of busiest months ever for us! We got huge amounts of work done - our CargoX Smart B/L solution is in its final development stage, our partners are actively testing it, and we have made a lot of progress on some interesting integrations as well. 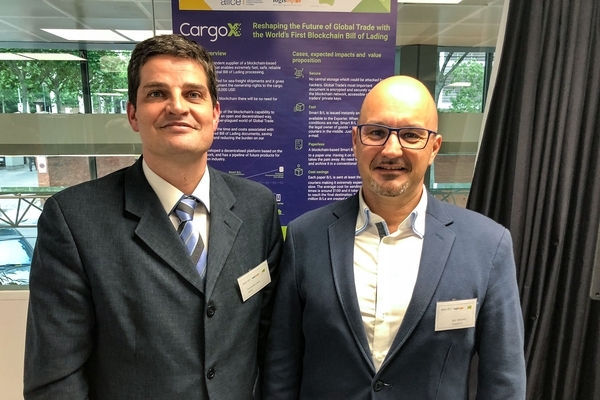 The CargoX Smart B/L solution was presented at the EurTradeNet Annual 2018 event. Over 50 top managers from companies operating throughout the whole EU had the chance to see the Smart B/L at work, along with guests from Eastern Europe Customs offices. 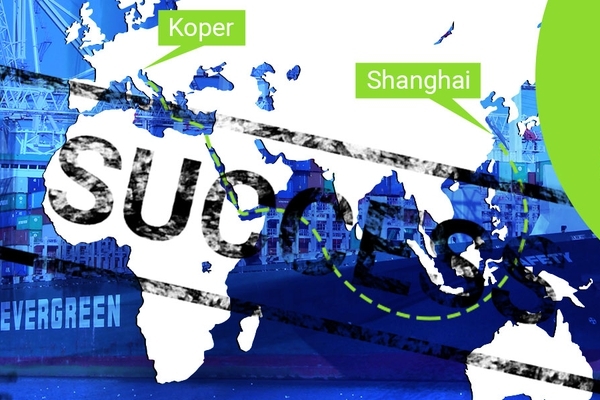 CargoX is making moves across the globe and making an impact at all the world’s most important trade fairs. This is one of them! 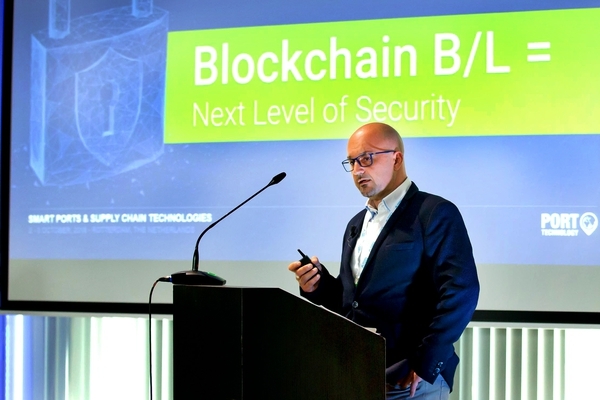 The CargoX Smart B/L solution was presented at the Collaborative Innovation Days 2018, where blockchain applications and cases for logistics were presented. The event was organised by the European Technology Platform ALICE - Alliance for Logistics Innovation through Collaboration in Europe, and we caused quite a stir-up! 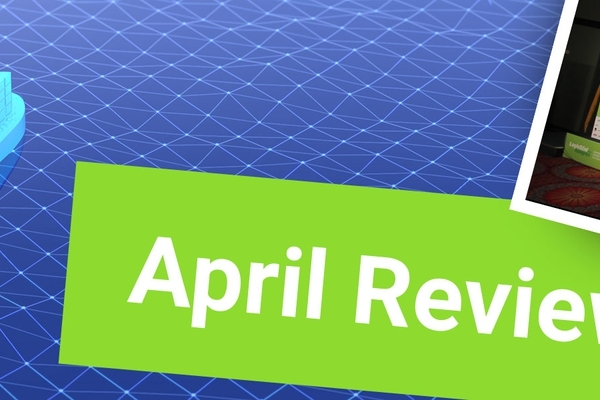 April was a wild month, so we’d like to recap its greatness! 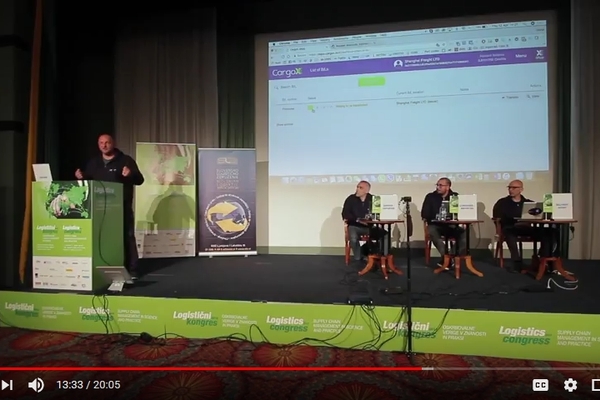 The highlight of the month was when we presented a demonstration of the CargoX Smart B/L solution live, on stage, before audiences across Europe on April 12th, 2018. The demo was a complete success! 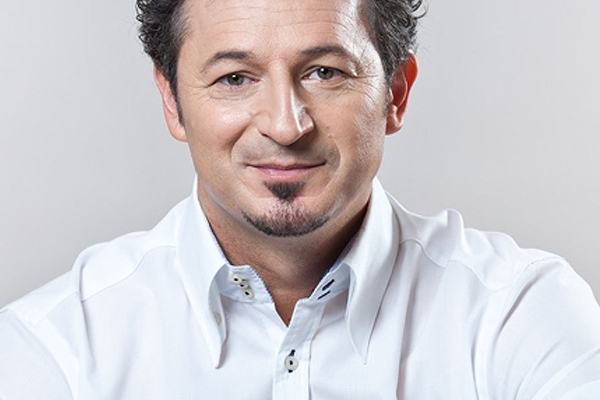 We are proud to announce that Patrick Vlačič, PhD, an expert on maritime, transport, and insurance law, is joining our team as our legal advisor! New, fast-growing companies supporting us all around the globe! We are constantly expanding our network of partners and supporters. We receive dozens of applications every week. 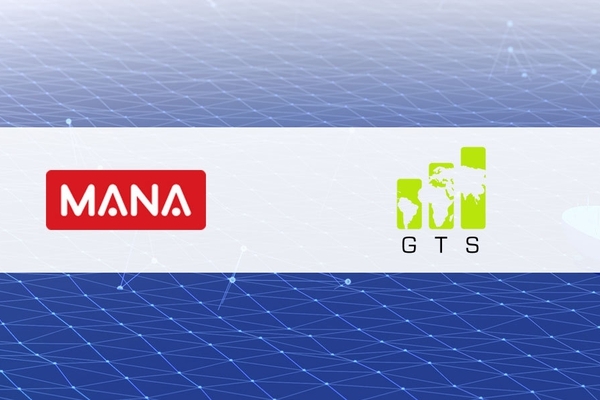 Among our many new partners and supporters, this week we are presenting four companies from Europe, Asia, and Africa. 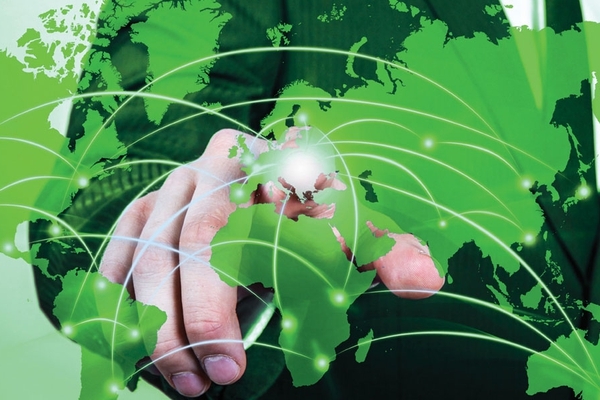 The European Supply Chain Day is celebrated every year on the third Thursday in April, and it is the day when companies from the logistics, industrial, and trading sectors open their doors and show visitors their internal workings. 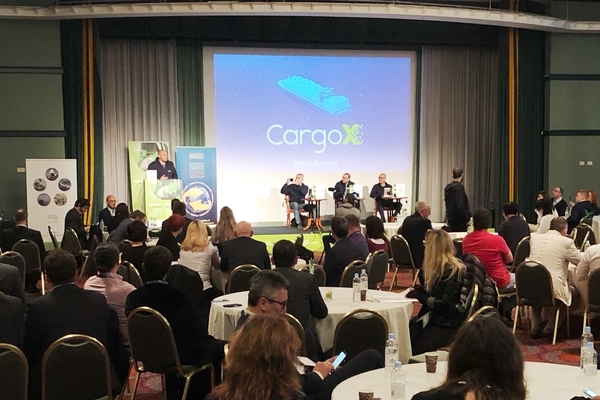 History is written when CargoX presents a live demo of the world’s first and only working public-blockchain based Smart B/L solution in front of 250 specialist and executives at the 6th International Logistics Congress held April 11-13 2018 in Portorož, Slovenija. 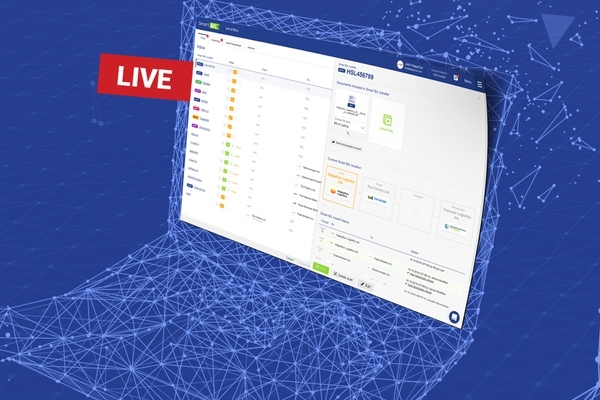 CargoX successfully completed a live demonstration of its Smart B/L Bill of Lading solution, before audiences across Europe, marking the beginning of its beta testing phase and opening the platform to partners in the logistics and shipping industry. 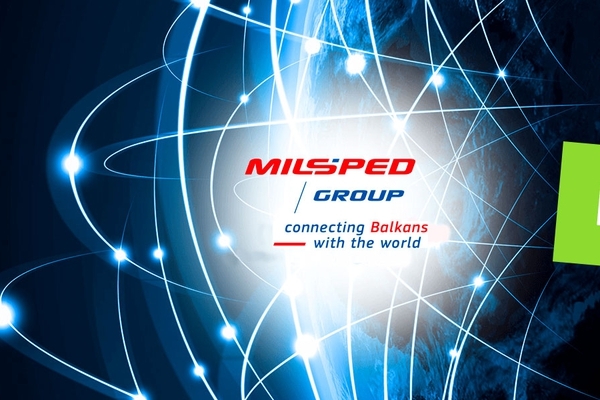 Partnering with Milsped Group, we have gained decades of real-world experience, and deep insight into logistics and supply chains from the cargo handling point of view at a large logistics provider. It’s Not a Test! 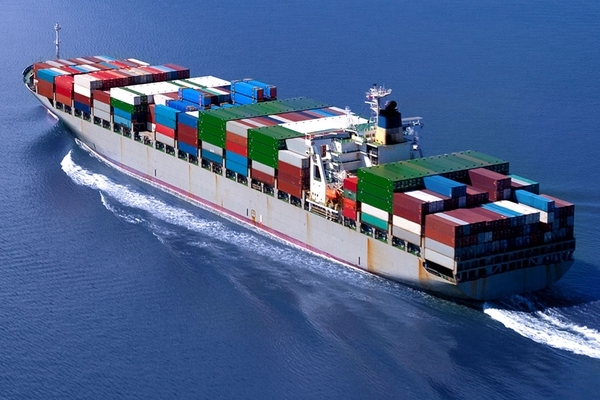 Cryptocurrency accepted as payment for container shipments. Online shipping platform 45HC.COM has become the first shipping company to accept cryptocurrency payments for container shipping. They have integrated CargoX token (CXO). CargoX is proud to announce first batch of supporters and potential customers, and encourages forward looking companies to join us. 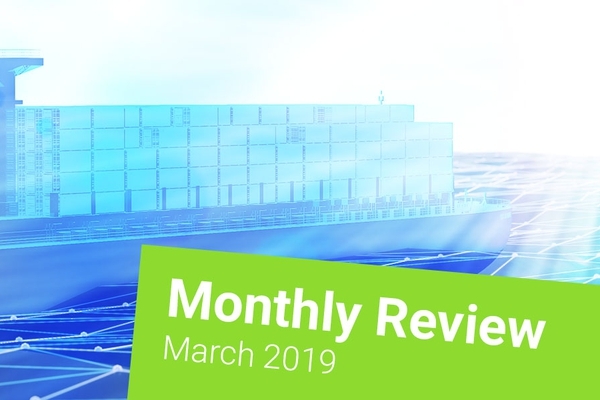 Read all about what have we been up to in February. While we have been active on multiple fronts, core efforts are on developing the platform and developing the business side. 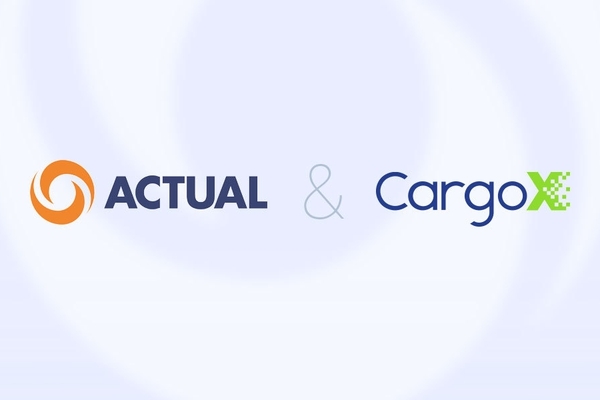 With our market-neutral blockchain-based bill of lading platform, our goal at CargoX is to empower shippers. 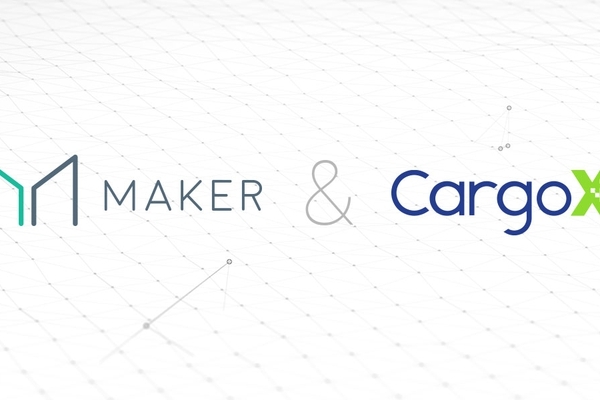 MakerDAO and CargoX are excited to announce a partnership that will result in a new generation of exciting smart contract applications in the field of supply chain, logistics and shipping industries. 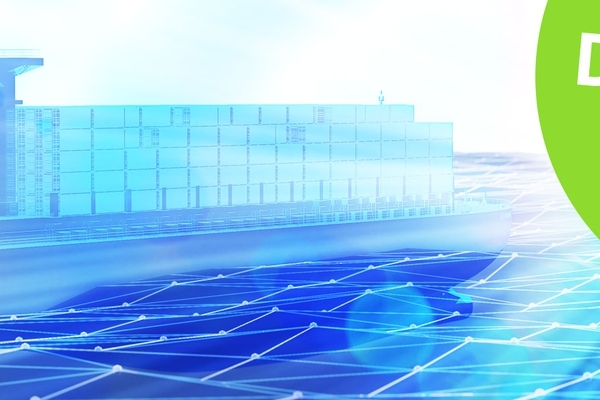 About the disruptive potential of blockchain in logistics, getting the industry to adopt new technology, and how a small startup from Slovenia is taking on the shipping business. 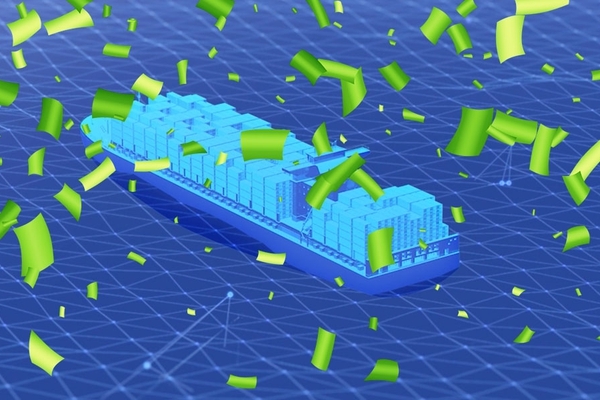 Using CargoX’s Smart B/L, logistics companies can save up to $5 billion per year and cut up to 10 days off the time it takes to transport documents between shippers and receivers. Don’t miss out on any big news! 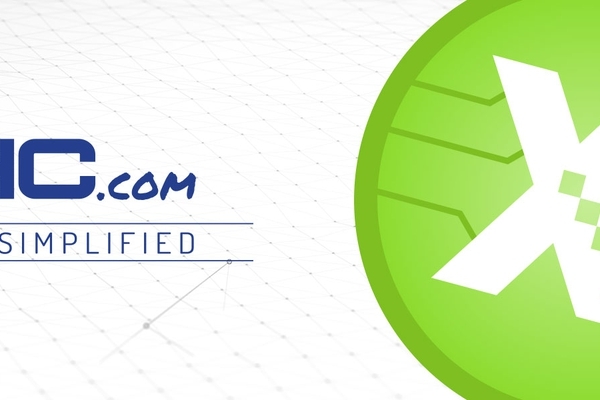 Subscribe to our newsletter to receive important information about CargoX (overall project progress, product releases, new partnerships, and much more). Copyright © 2019 CargoX. All rights reserved. Trying to download the logo? We have a better idea! Find high quality visuals in our Press Kit section.